More than likely, you’re not using every minute in the shower as wisely as possible. Between waiting for the water to warm up, singing into shampoo bottle microphones, and the time spent doing your “best thinking,” a lot of water is essentially wasted. In fact, if you've got a standard showerhead, every minute wasted equates to 2.5 gallons. On a national scale, we use 1.2 trillion gallons annually just for showering, according to the EPA — “enough to supply the water needs of New York and New Jersey for a year.” So how can we reduce this number? 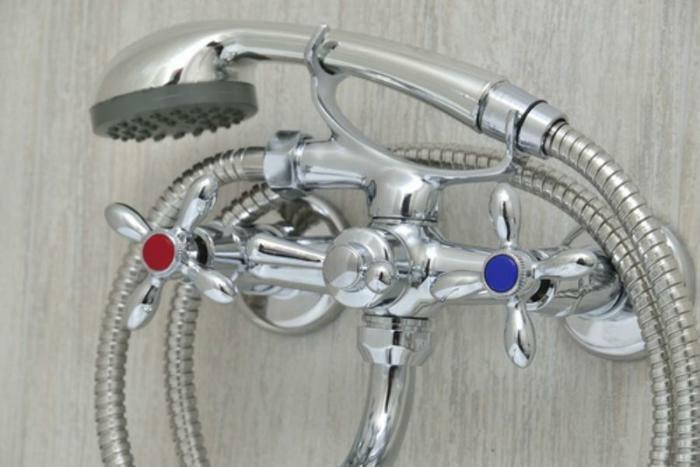 According to the EPA, a good start would be to switch to a more water-efficient showerhead. With WaterSense labeled showerheads, you can conserve a substantial amount of both water and money. If every home in the U.S. retrofitted their shower with a WaterSense labeled showerhead, the EPA estimates that we could save more than $2.2 billion in water utility bills and conserve more than 260 billion gallons of water each year. For the average family, that translates to a water savings of about 2,900 gallons per year. Thankfully, technology has brought water-conserving showerheads a long way; no longer does "water-efficient" have to mean “low flow.” These days, you can get a water-efficient showerhead that will deliver on both water pressure and savings. Moen Attract Chrome with Magnetix Handheld Showerhead, $60.60 at Moen.com. Voted one of This Old House’s Top 100 Best New Home Products of 2015, this six-function showerhead offers both ease of installation and eco-performance. One reviewer notes, however, that the single docking position (meant to help curb exterior splashing) is uncomfortably high for short persons and inconvenient for them to dismount. Delta Foundations Monitor 13 Series Water Trim, $42.51 on Amazon. Offers a full body spray and a Scald-Guard valve to ensure temperatures never get too hot or cold. Reviewers enjoy the fact that this shower kit is complete — no need to buy additional parts separately. Danze Parma Five-Function Showerhead, $36.47 on Amazon. It features five different spray functions, and boasts a 20% water savings compared to standard showerheads. The dual valve technology minimizes water pressure loss even as settings change. Hansgrohe Croma C 100 Green Showerhead, $57.20 on Amazon. Hansgrohe's EcoAIR technology adds air to each drop of water, allowing water to be used efficiently while still maintaining water pressure. Features three jets, a 4-inch spray face, and 75 no-clog spray channels. Its flow rate of 2.0 GPM equals a 20% water savings. Kohler Pinstripe Single-Function Katalyst Showerhead, $175.55 at Kohler.com. Minimizes wasteful overspray and increases cleaning and hair-rinsing performance. Katalyst's air induction technology is said to maximize the air/water mix for a powerful, even flow. One Amazon reviewer notes: "It sounds just like a small waterfall."